Spring has made an early appearance and that’s a great excuse to get outside and walk your parking areas to determine what needs should be addressed. As a commercial property owner, a sound facilities management and maintenance program is a necessity to keep the value and appearance of the facility at its best. Maintaining a parking lot can seem daunting, but it is a necessary task. The parking lot is the first impression your customers are presented. It should be clean, easy to navigate and free of asphalt defects. Regular trash pickup, sweeping and power washing will help keep the parking area neat and attractive. Potential customers will not have to worry about driving or walking amongst discarded cans, containers or other debris from the “less than considerate” folks that will come through the facility. 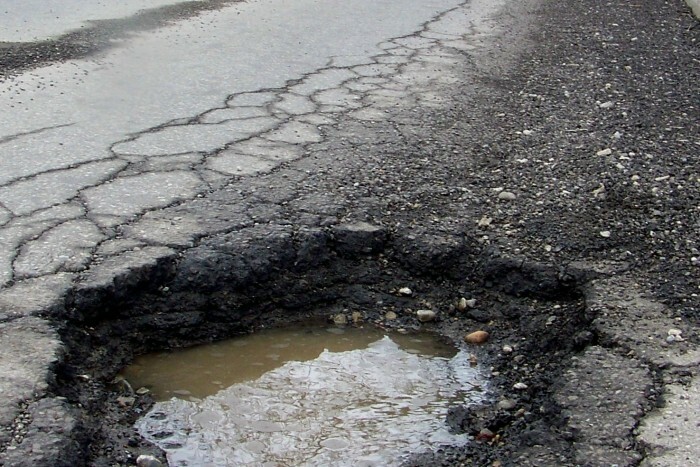 Once asphalt deterioration begins, it can progress quickly. These areas should be addressed as soon as possible to reduce the overall affected area in need of repair. A poor condition parking lot is a direct reflection on the business. The application of an asphalt sealant not only keeps the parking lot looking new, it helps prevent the degradation of the asphalt surface. The sealant repels the damage of day-to-day exposure from the environment, such as UV rays, water, salts, spilled fuel, etc. This is the biggest bang for your buck in maintenance processes. Any crack in the parking surface presents an opportunity for water to infiltrate and begin the process of creating a compromise in the integrity of the pavement. This is the beginning of the menace called potholes. When you have an area that just falls apart: the real solution is to remove and replace it. Temporary fixes just prolong the inevitable. Have it dug up, recondition the base and then re-install the pavement. 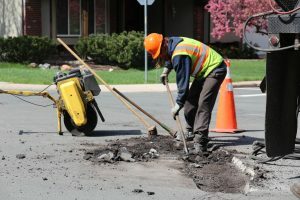 The new asphalt should then become part of a regular maintenance plan to prevent a repeat scenario. 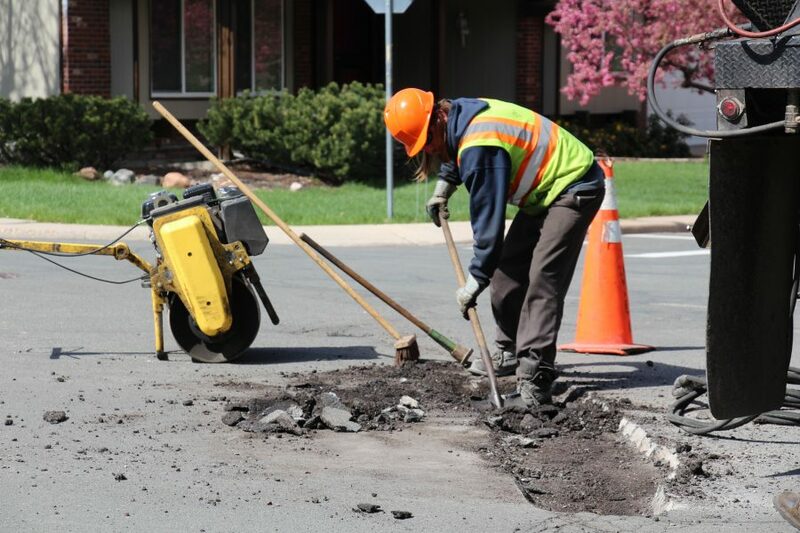 If there is one thing to remember, it is that maintenance must be done at a planned regular sequence to prolong the longevity of the pavement and enhance the property appearance and value.